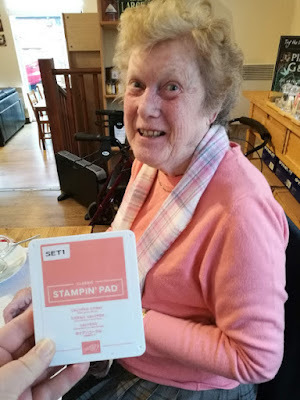 I love my coffee and card sessions which I run twice per week, at 2 different locations - Brackley and Towcester, Northamptonshire, UK. It's a great social event, with people meeting up and crafting together in a relaxed, informal atmosphere. 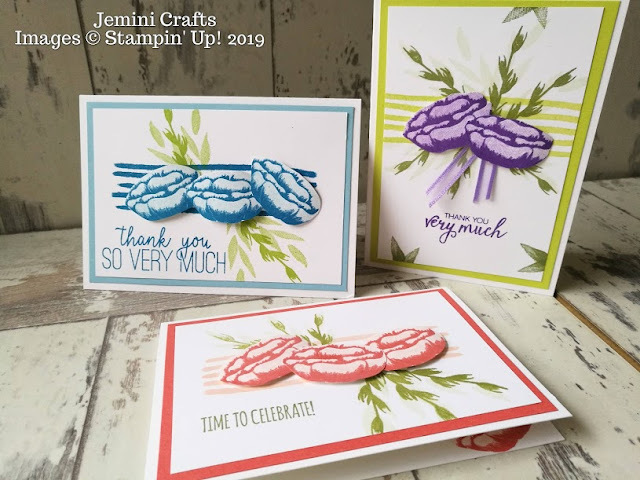 I keep the projects simple #simplestamping as the cards are designed to suit beginners as well as experienced crafters. The focus is on the social aspect as much as the crafting itself. 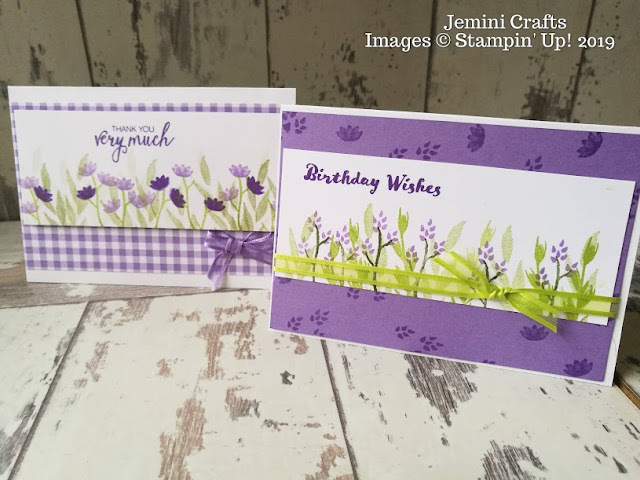 For those people that want to experiment further with their cardmaking, they can join one of my 4 card classes held each month in Brackley and Milton Keynes. 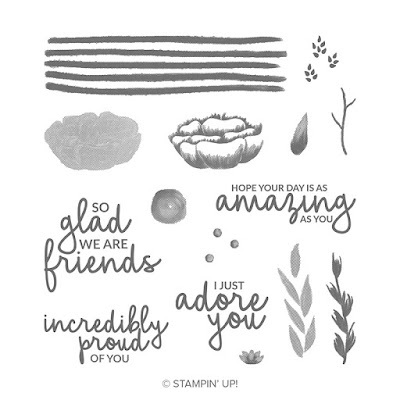 Last week we used a fabulous new stamp set called Incredible Like You. Not only do I love the images themselves, but the sentiment style and wording is great. 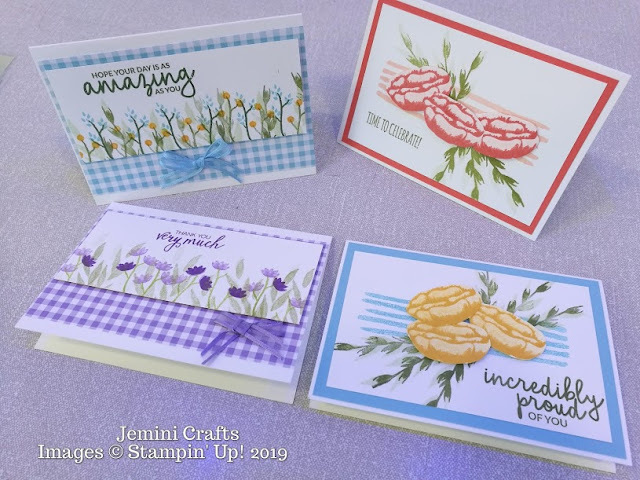 Here are some of the cards we made - there were 2 styles, one incorporating the stripe design in the background, with some fussy cutting out of the flowers and the other stamping on a Whisper White strip and layered onto the fantastic Gingham papers. This design was inspired by another Demonstrator, I will try and find out who it was and acknowledge them. Thanks to Chris Bell at our Monday session for the idea of using ribbon scraps in this way. We used our Whisper White notecards and envelopes for all these cards. They are a useful size at 3.5" x 5" - not too big to fill for new card makers. You could of course scale these up for standard A6 cards. You can click on any of the images above and you will be directed to my online shop where you can see all the information about this stamp set. To view the GINGHAM PAPERS you can click here.